All your hard work has finally paid off – you’ve made it to the Olympics! 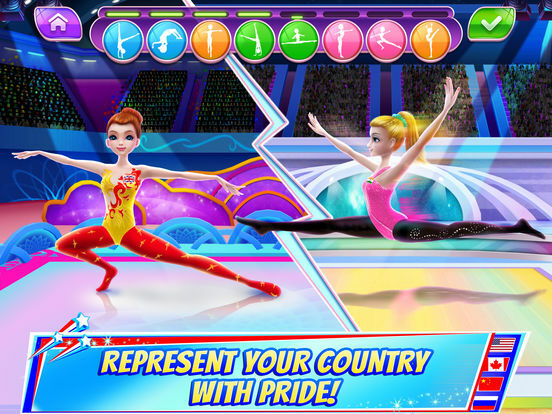 Now’s your chance to represent your country with pride! Work on your amazing gymnast moves until they’re ready for the Olympics. Practice makes perfect! Bend, flip and spring your way to that shiny GOLD medal! Keep your eye on the prize! WOW. Your dream has come true. You’ve finally reached the Olympics, and you get to compete against world-class gymnasts to win gold for your country. Train with a famous coach who has helped other Olympic gold medalists reach the top. 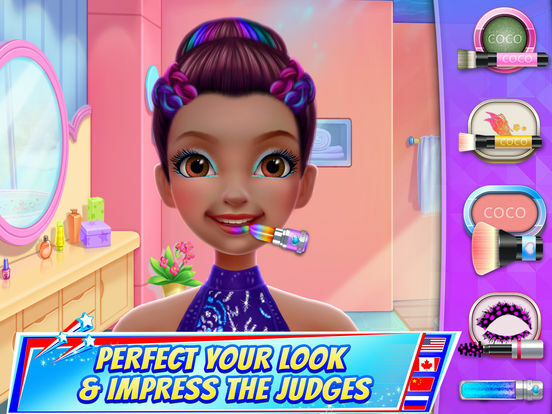 Perfect your gymnastics moves and win this year’s major Gymnastics Competition! So get ready for a lot of practice and dedication, and even come up with your very own gymnastics routine, choreographed by YOU! > Your amazing gymnastics skills have gotten you all the way to the Olympics. Compete for your country! > Get ready for the biggest gymnastics competition of the year, with an Olympic “coach to the stars” as your mentor! 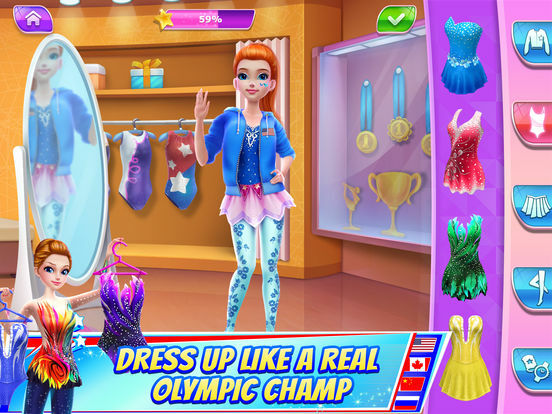 > Dress up in a glittery, fantastic gymnastics leotard that will make you stand out at the competition! > Get creative and come up with your very own gymnastics routine! > If you want to be a star gymnast, you better look the part! Get a makeover, a manicure, and a new hairstyle! > Get off the couch and get to the gym – you’ve got to get in shape before the competition! > OMG! Golden Gymnast magazine just asked you to be on their cover! Photo shoot, here you come! 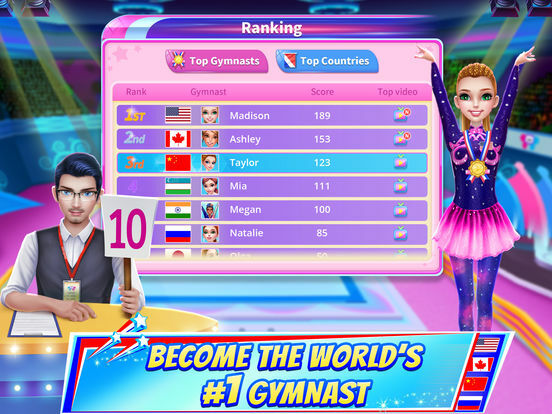 > Climb the world gymnastics ranks – don’t let your country down! Make that gold medal yours! > Impress the judges with stellar gymnastics moves, including side aerials, triple full layouts, triple pikes, backward rolls, and more! > Ugh – gymnastics injury. No worries – the doctor will treat you in time for the big competition! > Before the big day, relax at the spa. You deserve it after all that hard work!